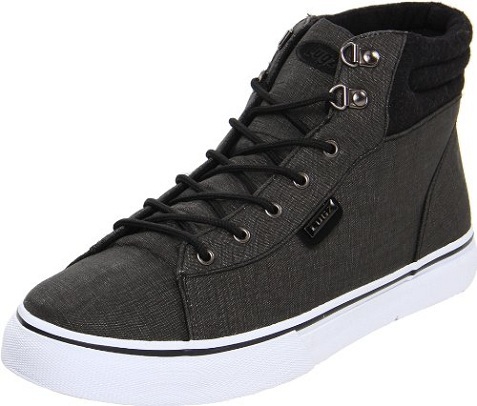 We’re big fans of the casual shoes and sneakers from Lugz and we recently tried out the Allerton high-top sneakers in grey pictured above. Like all of the shoes from Lugz they’re very comfortable and look very stylish. The Allertons feature a canvas upper, cotton drill lining, cushioned insole and rubber outsole. The muted dark grey color with the white outsoles make the Allerton sneakers a great option with jeans or other casual slacks and they work for most weather settings. Check them out for yourself along with all of the other selections available at the Lugz online store. If you have a guy on your gift list who can use some casual shoes or sneakers then you’ll find tons of great gift ideas there as well.